Politicians are marginally less popular than Monday mornings at the moment but today this blog is temporarily dispensing with its usual jaundiced appraisal of our elected representatives and will try to see things from their point of view for a change. In truth, politics is a thankless game. Of course they are well paid but there are probably easier ways to make money – like base-jumping off cliffs or lion taming. How many of you would relish the prospect of being available 24-hours a day, seven days a week, to every crackpot in the constituency? Fielding inane phone calls at stupid o’clock from people who are too dense to fill out their own paperwork? Imagine the self-control it takes to tolerate these twits, and listen to their drivel, because you know that if you show the slightest amount of intemperance you’ll be defending yourself against a gaggle of shrieking banshees on Liveline the following afternoon. Feeling compelled to attend every funeral within a forty-mile radius because you know that if you don’t that other fella, from the other party, will be there offering condolences, pressing flesh and hoovering up your votes. Being hit up for donations from community groups every time you leave the house and knowing that unless you make a sizeable offering each time you’ll be known as tight and get a reputation as an insufferable Scrooge. Canvassing in the driving rain and gale-force winds just to get a load of abuse from the only person who deigned to open the door when you knocked. Being blamed for everything from crime rates to potholes to the withdrawal of acute hospital services even though you’re a lowly backbencher and barely have the authority to order your own pint in the Dáil bar. Spending vast amounts of time attending pointless meetings, listening to windbags pontificating for what seems like days, when you could be at home watching Corrie in front of the fire with your feet up. Being used as Vincent Browne-bait by the scheming trolls in your party’s HQ and prodded with pointy sticks until you agree to go on the late night TV3 show to defend the indefensible, armed only with a couple of risible platitudes and a grimace. Entering politics with the honest intention of changing things, and making a difference, only to slowly have any remaining shred of idealism and optimism chipped away by our unrelenting party whip system and the naked cynicism of those people you purport to represent. I could go on, but you get the point. It’s not all government jets and five-star hotels when one reaches the lofty confines of Leinster House. So, anyone who is willing to put their name on a ballot paper and traipse around the countryside looking for votes deserves some credit. And, dare I say it, a modicum of respect. Personally, I’d rather be sentenced to a lifetime of watching the Eastenders’ omnibus than subject myself to the kind of sadistic abuse that is the inevitable consequence of any attempt to get elected—whether it be to local or national government. That’s not to say that some politicians don’t deserve our ire—of course they do. Some are greedy, corrupt, profligate, liars who have as much interest in public service as Donald Trump. But the worst offenders usually top the poll at every election, so who’s to blame for that? If there are expense scandals in politics then it’s because we, as a nation, are willing to put up with them. There was a huge furore about John O’Donoghue’s expenses last year but, according to a new poll in his Kerry South constituency, he’s on course to top the poll. Again. If there are irregularities with polticians’ pay and financial donations then we’re also willing to put up with that too. The sordid details of Bertie Ahern’s peculiar accountancy practices had been in the public domain for over a year when he, and his government, won their hat-trick election in 2007. Politicians are like children and if we fail to punish bad behaviour how are they expected to learn the error of their ways? The theme of the last election, if there was one, is political reform—mainly because the country is too broke for the auction politics that usually accompanies every election. Instead of selling things to people, this election is different because parties are trying to sell their ideas and ideals. A novel idea, would be for voters to actually listen to what’s being said—forget the caricatures that can sometimes be painted of politicians, and their parties, and simply examine what’s on offer and support the candidate that most impresses. There are a lot of smart people vying for your vote and there are also a few half-wits who are surviving by staying under the radar and getting by because of their name or geography or because they go to a lot of funerals. Politicians may talk about reform but what they have all failed to acknowledge is that political reform will only come about if there is voter reform first—if, instead of doing what we always do, and supporting the people and parties that we always do, we try something different. That’s not to say that incumbent candidates do not deserve support but instead of automatically placing an ‘x’ beside their name on the ballot, perhaps some thought should first go into that decision and its merit. The worst thing any of us could do is not to vote at all because “there’s no point, they’re all the same, nothing will change, they’re feathering their own nests” yadda yadda yadda. That kind of juvenile reactionary bleating is really infuriating—usually, because the people who are so blithe about their democratic entitlements are the ones who have the most to gain from exercising them. 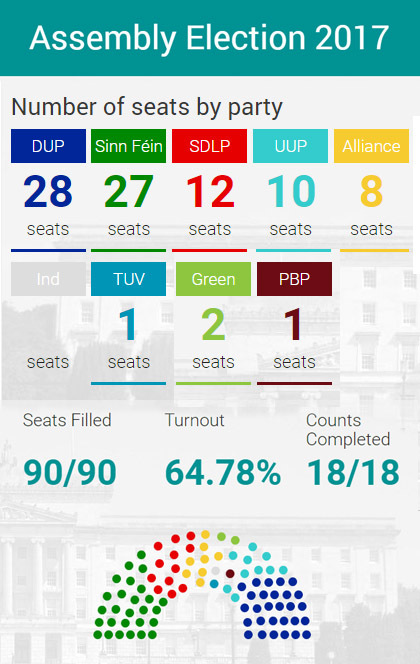 Until people see the connection between our parochial parish-pump electoral system, and the fact that the country is bankrupt and moving inexorably towards a default on sovereign debt, then nothing will really change. We may snigger at the politicians who scour death notices every week and turn up unannounced at constituents’ funerals but the unpleasant truth is that unless they behave like this, many won’t be re-elected. Voting for the local fellow who helps you out with the local issue, or turns up at your relative’s wake, is all very well if we each want to live in 43 autocratic mini-states that coalesce to form one republic. However, if we stop painting politicians with the same brush and vote in accordance with what’s best for the country, instead of only considering our own local interests, then there is a chance that the next government will see reform and that politics will really change. This election can be different but that’s not up to politicians, it’s up to us.